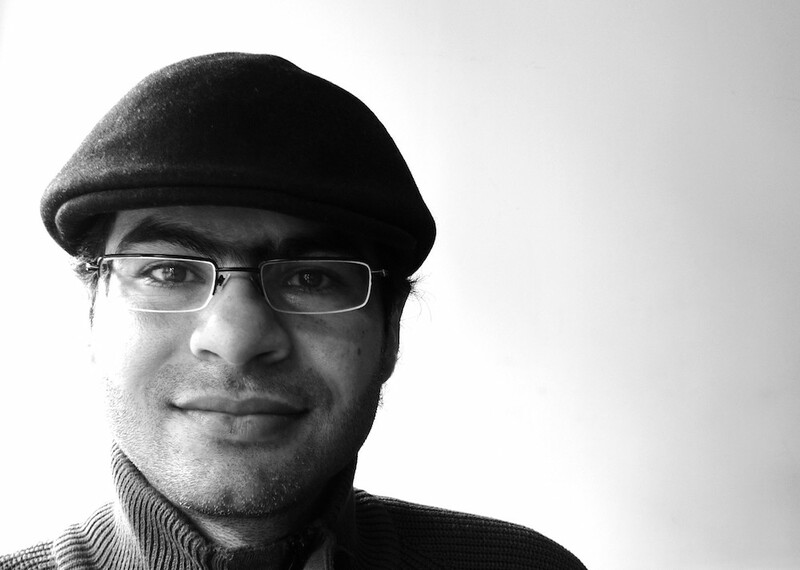 My name is Ali Abdulemam, I am a human rights activist from Bahrain and a defender of freedom of speech. I have beenarrested several times because of my activism and my concern for a space that allows freedom of expression, which is not currently allowed by the Bahraini authorities. my most recent arrest was in september 2010, when i was tortured and subjected to humiliation by the interrogators of the national security apparatus (nsa). My safety and the safety of my family were threatened. I was forced to sign statements without being permitted to read them. I was brought before the Public Prosecution and before entering the interrogation room, i was threatened at gun point by an nsa officer to 'confess’ or i would face the same torture. as i entered the room, the interrogator started to yell at me, forcing me to stand behind the door of the room for the duration of the investigation which lasted hours. He kept reading the questions and answering them by himself. Even when he was directing the accusations towards me he wouldn’t accept my denials, instead he wrote his own answers. No lawyer was allowed to attend this interrogation session. Later on, i was transferred to wait for trial and locked in solitary confinement for two months, where we were exposed to daily humiliations. In the first hearing session, I told the judge about the sufferings and tortures we had all experienced. Based on these allegations, the defence panel found the confessions invalid and asked for the interrogation session to be repeated, but the judge turned it down. Because we informed the judge of everything we had gone through, another round of pain and punishment was awaiting us when we went back to our cells. we were forced to stand on our feet for long hours, we were constantly yelled at and deprived of sleep and we endured degrading treatment. Even during family visits we were denied privacy with our families. only six family members were allowed in the presence of six soldiers watching us and listening to everything while continuing to threaten us not to talk about what is going on in the street or in the prison. Then, during the outbreak of revolutions in the Arab world, the regime was coerced to release us under the pressure of the discontent of the demonstrators in the streets, although charges were not dropped. Three weeks later the regime carried out a major military operation against the revolution in Bahrain bringing in the so-called GCC’s Peninsula shield (from Saudi Arabia). I don’t think i need to explain how bad a government is when it calls on other governments accused of immense human rights violations to suppress the demands of its people for their basic rights. after calling in foreign troops, which remain on Bahrain soil, my house was raided to rearrest me and I had no choice but to go into hiding. Some of my family members were arrested and tortured to disclose my whereabouts while I lived in isolation from the outside world for two years. I did not meet my family or friends and was trapped between four walls. What followed were killings based on identity. five people were killed by the torturers in less than three months. one of them was my friend, the journalist and publisher Kareem fakhrawi. many were killed in the streets, yet the killers are still not held accountable and still torture people in detention centres. The regime went mad, attacking doctors, engineers, teachers, lawyers, jurists, religious leaders, academics, authors, poets, writers and journalists. This widespread persecution continues to this day. Rebels and their sacred beliefs were publicly defamed on the government-owned television channel. their loyalty and affiliation were doubted and questioned. Since the moment of my arrest there has always been one question that has occupied my mind while crying, while being insulted, when they held official parties and danced on our corpses in celebration of a 'victory' over the people who were defenceless in front of an army of tanks and jet-fighters. The same question was bouncing back and forth in my memory in search of an answer: Why do they hate us so much? I am still looking for an answer. While torturing us, they were not performing a duty, they were enjoying our torment. The torturer would suddenly stop and say “i will go to pray and come back to continue torturing you”. I cannot understand torturers’ psychology nor can I understand this world that deals with us with perfect double standards and yet sometimes asks us to clearly admit that we are worth less than citizens of other nations and do not deserve the same rights.